Just in case you didn't already feel like the laziest today, meet a 5-year-old who probably read five books in the time it took you to finish this sentence. 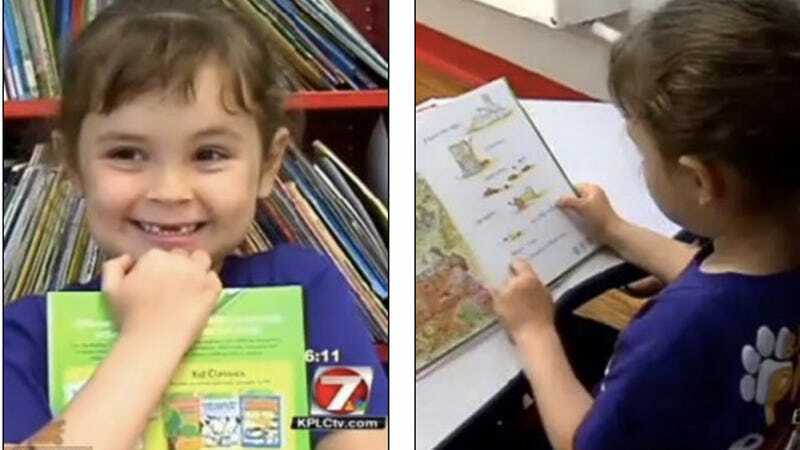 Sophia Moss, from Lake Charles, Louisiana, reads a book nearly every day — and reads about 875 books a school year. That's a lot of Amelia Bedelia! Mary Lanier, the librarian for Sophia's school said, "I told Sophia, I said we're going to have to order more books for T.S. Cooley Library because she's read so many of them and enjoys so many of them," and Sophia's dad, Carl, says he has a hard time getting her to sleep because she'd rather be reading. I feel you, girl — so many books, so little time.